The video revolution is upon us as all forms of communications are quickly moving to video. It is no longer an option to not know how to use and make videos. From the way we digest news, to the way we share our memories, to the way we communicate at work, to the ways we sell our homes and cars… NYVS is the place where you can learn everything you need to know to become an expert producer of high-quality videos and films. For more than 20 years, these courses have been offered worldwide at a cost of thousands of dollars per person. With NYVS you will have full access to these courses for a low monthly or yearly cost. 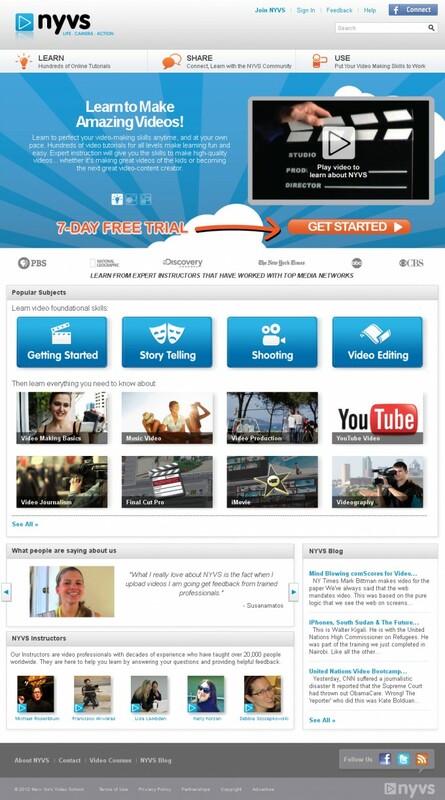 As a Plus Member you will be able take hundreds of video lessons from a continually expanding curriculum and be a part of a social learning community that will make learning video fun and easy.